During bobwhite's heyday, most hunters made regular excursions to Lowcountry farms in their quest for birds and adventure. The drive along U.S. Highway 178 near Bowman offers pleasant views of small farms with white frame houses standing stalwartly at each driveway. They are so incredibly similar that you hardly notice one from another, but there is one in particular that, despite its sameness, could tell a unique story that for decades has been quietly guarded by the family who lovingly tends the house and fields. This farm, once the property of Rhett Shuler, is now owned by Shuler's daughter Janet Delk and husband Billy of Alpharetta Georgia, but the story that draws this writer to Bowman is about an outdoorsman, a bird hunter specifically, who fashioned his famous tales around the place and the people who lived there. 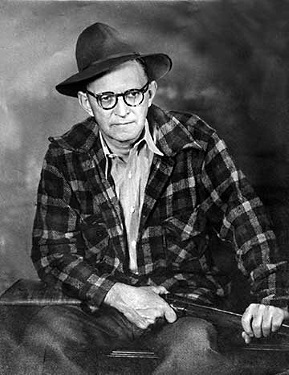 Havilah Babcock hunted Rhett Shuler's farm from the late 1940s until his death in December 1964. The story lives on, not only in the family's memories of this famous South Carolina writer, but also in several personal letters Babcock wrote to them during those years. Today, Billy and Janet Delk and Janet's sister Eleanor West hope to honor the memory of Babcock and his hunting buddies who frequented the farm by rebuilding, at least in part, the bobwhite quail populations that once attracted the English professor to the property in the first place. Initially, that may seem to be not only a fitting tribute, but one that could easily be accomplished, however, bobwhite and his bevy have suffered through hard times for decades, and now any attempt at reclaiming the glory days of quail hunting in South Carolina may seem to be out of reach. Michael Hook, SCDNR small game biologist insists that hope is not lost, at least not as long as tales such as those penned by Babcock, Archibald Rutledge or Nash Buckingham still resonate with sporting ladies and gentlemen who appreciate days spent in the field following bird dogs into the gloaming of a peaceful day enjoyed outdoors. 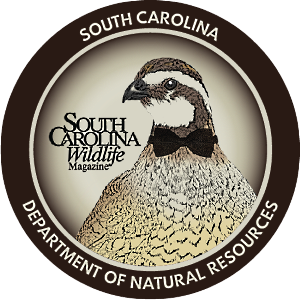 The South Carolina Quail Council, established by the SCDNR and partners in December 2014, brings public and private landowners together in a new effort to restore bobwhite populations to 1980s levels, Hook explains. By abandoning the shotgun approach of managing one farm at a time for a landscape-scale plan, farmers, hunters and state and federal agencies may be able to use so-called focus areas to improve habitat where they monitor progress by coveys rather than by individual birds. Best of all, the success of this project is not specific only to quail, but all grassland birds and even a few other popular critters such as white-tailed deer, wild turkeys, fox squirrels and even flatwoods salamanders, according to Hook. "Slowly but surely we are getting work done," Hook said. "It took an entire year just to do the planning, but this past year, we got four focal areas with keystone properties worked out on the ground." Focal areas cover multiple counties, and the keystone properties that anchor each focal area include thousands of contiguous acres. There are four already established, including Indian Creek focal area in Union and Newberry counties; Oak Lea focal area in Clarendon, Calhoun and Orangeburg counties; Sandhills focal area in Chesterfield, Lee and Darlington counties; and finally Webb Wildlife Center focal area in Allendale and Hampton counties. "In some cases all of this land is not really good quail habitat right now," Hook said, "so we are going in to survey ground cover, agricultural use, sunlight, even grass species present. Then as we change the habitat a little bit each year, we will monitor to see how the quail respond to the work." The big question for many folks is this: how can we know this approach has a chance to be successful? "Well, over in the Indian Creek focal area, it is already successful," Hook said. Work has been going on there for four or five years, and the covey counts show big increases, as much as 400 percent over just a few years. For the SCDNR and the Quail Council to continue this valuable - and expensive - work, they must have partners, and to encourage partnerships, you have to develop interest. Most hunters under the age of fifty grew up without easy access to quail hunting opportunities, so, cultivating enough enthusiasm among them for this project may be as much of a challenge as raising the money to move forward over the years - it is unlikely quail habitat will ever again be a byproduct of normal agriculture. And, buying and training a bird dog is no small investment either. 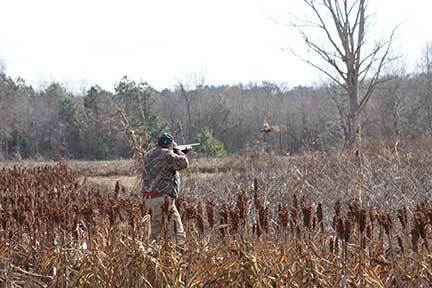 Allen Bell and other hunting preserve operators around the state offer an easy alternative to traditional quail hunting. Bell, owner of Deaux Cheneaux Plantation near Walterboro, believes that "for pay" hunting plantations like his farm offer a way for occasional bird hunters to get introduced to the sport - even to the outdoors - for a modest fee compared the expense of joining a club, paying a hunting lease or owning trained hunting dogs. "I don't think of myself as being in the hunting preserve business," Bell said, "I'm just a guy with a farm. I get a lot of satisfaction out of introducing folks, especially young people, to the outdoors." Bell and his son-in-law Chad Beard take a special interest in SCDNR programs such as Wounded Warrior and youth hunting opportunities. Maybe you want a bigger experience than one or even two hunts per year, yet the investment for land and management outstrips your interest. 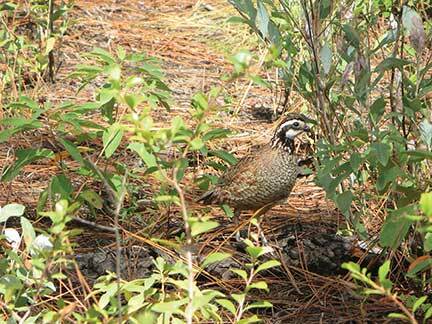 If so, clubs like Palmetto Quail Hunters may be just right for you. 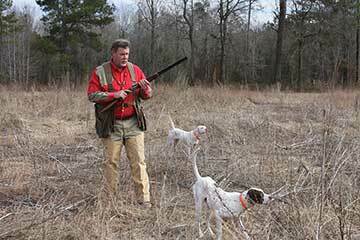 According to Keith Henderson, charter member of Palmetto Quail Hunters, these clubs, usually made up of field trial aficionados, give bird dog owners the opportunity to be more than merely occasional hunters. "This may not be like bird hunting back in the golden era," Henderson said, "but if you have a bird dog and enjoy the dog work, it's the best game in town." "I came down yesterday. It was the coldest morning I ever saw. During the first three hours I froze to death several times. Please don't tell anybody, but I had to stop and cry while writing 'Miss Priss' and 'Great Day in the Morning' ...they touched me deeply. It [the farm] was so drowned out this winter, I had to walk myself to death. I want to come down soon and drive around through the woods just for revenge. The Shuler family has given me so much pleasure that I shall never repay them. All I can say is 'thanks, thanks to thee, my worthy friend' and Merry Christmas." 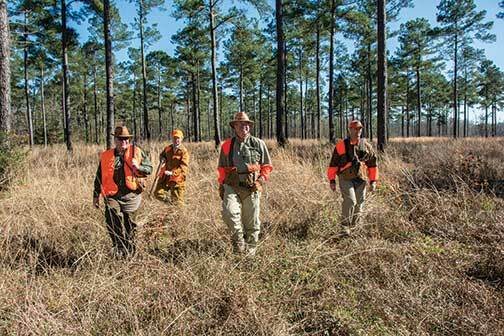 According to Henderson, Palmetto Quail Hunters' ultimate goal is beyond sponsoring regular shoot-to-retrieve field trials. He says they hope to expose newcomers to the fun of bird dogs and the outdoors. "We want to attract guys who want to get their kids off the couch or off the computer every weekend," Henderson says. "You don't have to own an expensive bird dog to participate, and the time outdoors with family is really the most rewarding part of our club." Henderson believes the future of bird hunting, even field sports in general, lies in our ability to engage youth and get them involved. Back in Bowman, Billy and Janet Delk and Eleanor West are still laughing about the monikers Babcock attached to some of the Shuler farm fields. A wobbly, home-made tomato grading table that Rhett Shuler left near one of his smaller fields inspired Babcock by its condition and rustic appearance to dub that field "bowlegged table." In a larger field where there was a particularly treacherous canal crossing, Babcock prescribed the epithet "mother-in-law." The Shuler girls remember Babcock as a kind man with an exuberance for life outdoors. According to Hook, the SCDNR and the Quail Council have already been able to put a lot of habitat work on the ground. However, he also says that no matter how much work gets done on the public lands, unless the private landowners stay involved and do their part, we cannot expect the kind of success we are hoping for. "For many folks it's all about birds and bird dogs," Hook said. "For me, it's about rebuilding a habitat that can offer people an enjoyable afternoon outside. Besides, I miss hearing the whistle of bobwhites in the spring." To learn more about Palmetto Bird Hunters, contact Keith Henderson at JPK Contractors@aol.com. In this short video, SCDNR Diversity Outreach Coordinator Alix Pedraza describes basic SCDNR programs in Spanish.